Over the last three years the Tide has entertained over 150 audiences in 10 states. In 2017 the band was awarded First Place at the New England Indie Music Competition, First Place at the Canobie Lake Park Battle of the Bands, and Top Instrumental Performance at the Hard Rock Cafe Battle of the Bands. 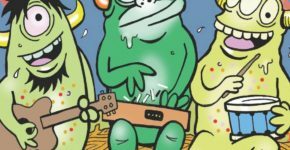 The band also helped to create the first annual Holifest, a free music and color festival for Hampton Beach NH residents featuring local bands, food, and as much colorful chalk as you can throw. It’s a hell of a party. Bring water. Slack Tide began in late 2015 in the dingy basements of Berklee College of Music in Boston as a simple rock band, jamming for the love of music. Heavily inspired by the Grateful Dead, the Tide was also an experiment in improvisation. Over time, the band’s energy spread as they began to perform live, making friends and fans along the way. In late 2016 the band doubled in size and sound. 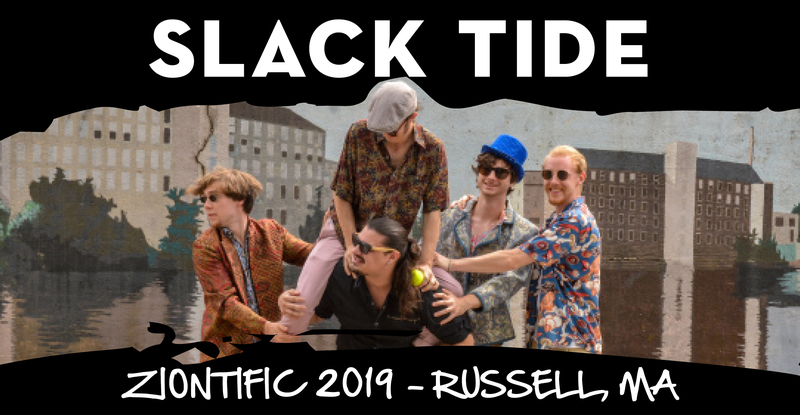 In the summer of 2017 Slack Tide toured from Maine to Virginia and back, won a couple of Battles of the Bands, and finally pushed their way into the summer festival scene.